Everyone needs lunch! Why not combine it with some Jewish learning! 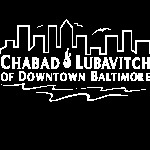 Chabad of downtown offers the Jewish businessperson and professional an opportunity to advance your Jewish knowledge while enjoying a Kosher lunch and camaraderie in the heart of downtown. For more information about upcoming lunch n' learns or to create a class at your workplace please call us at 410-605-0505 or email by clicking here. To be informed of upcoming lunch n' learns please subscribe to our email list by clicking here. Jewish History Lunch n’ Learn with Dr. Marc Caplan, Ph.D.
Jewish History In The Modern Era - Lunch n’ Learn with Dr. Marc Caplan, Ph.D.
Life in the Shtetl and emigration to the golden country. Jewish life its challenges and triumphs in the new world. Embark on a journey with our patriarch Abraham departing from Mesopotamia and concluding with the creation of the Modern State of Israel. Know the story of your People! Learn how to balance profits and principles. Discover the Torah’s version of Capitalism. Explore the true meaning of making money. 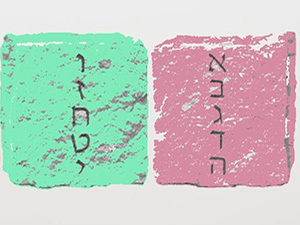 Passover Today: does it still have relevance 3,322 years later? What can an exodus from slavery mean to us living in a free country? The history, the meaning, and the lessons of the Haggadah. Plus share your Seder tips & tricks on how we can run an entertaining and meaningful Seder.